Der Creative iRoar wurde entwickelt, um Ihnen die maximale Klangleistung, unabhängig von der Größe, zur Verfügung zu stellen. Smart und leistungsstark knüpft er nahtlos an seinen Vorgänger, den Sound Blaster Roar, an. Durch Klarheit und Präzision wird Ihr Klangerlebnis verfeinert wie nie zuvor. Entwickelt zur Entfaltung des gesamten Potenzials des iRoar stellt der Creative iRoar Rock einen leistungsstarken Docking Subwoofer als Teil des intelligenten iRoar-Systems dar. Steigern Sie ihr Klangerlebnis durch Andocken des iRoar über den Docking-Erweiterungsanschluss. Diese Funktion erweitert und verbessert die Leistung des iRoar in den Bereichen mittlere Höhen, Bass und Surround-Klang erheblich. Schnell und einfach in der Handhabung bietet der iRoar Rock auch eine unkomplizierte drahtlose Lösung für das Aufladen des iRoar. Das Creative iRoar Mic wurde für Arbeit und Spiel entworfen. Verwandeln Sie den Creative iRoar (separat erhältlich) oder den Sound Blaster Roar Pro (separat erhältlich) in eine tragbare Beschallungsanlage für öffentliche Ansprachen, indem Sie die Geräte mit dem iRoar Mic koppeln. Dies funktioniert auch mit dem Sound Blaster Roar Pro (separat erhältlich), um klare und laute Sprache auszugeben - ideal für starke Präsentationen, öffentliche Ansprachen, Lehrvorträge, Erzählungen oder Karaoke-Sessions! Now the best all-around best Bluetooth speaker you can get is the Creative iRoar intelligent Bluetooth speaker. The SoundBlaster speakers are great for a number of reasons... The iRoar has three drivers and two passive radiators inside that provides a nice full sound. Bass is deep and highs are detailed without ever becoming piercing. The Creative iRoar is an interesting speaker. 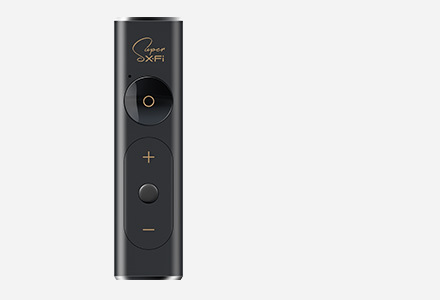 Its performance is clearly aimed at those who enjoy music and are picky about audio quality, even in a portable unit. Its virtually endless expansion and customization options make it ideal for music tweakers and tinkerers, while opening the iRoar up for being the basis of a larger sound system if you’re willing to invest in expanding it. It’s virtually a platform. The Creative iRoar has ascended to be one of the most versatile audio devices available today. A portable Bluetooth speaker with a powerful and adjustable soundstage that belie its Bluetooth speaker footprint. It can easily serve as good sound solution for a TV, PC, or game System. Many of the advance features have been intelligently refined to the point that they ought to become industry standards, while its add-on potential is like future tech. Highly Recommended. The iRoar doesn't skimp on the midrange or high-end. It reproduces the guitar riffs in Pantera's "Cowboys From Hell" with plenty of energy that extends out of the low-end, and the drum hits pack just enough pop to give them texture. The result is a sound that, using the flat, audiophile-tuned preset on the iRoar, is exciting and crisp without lacking in bass. The iRoar and iRoar Rock prove that the vision and direction was far greater than we anticipated. Alone, the iRoar is in the upper echelon of portable wireless speakers considering its clarity and loudness. The claim of being 'the most intelligent portable wireless speaker on the planet' is certainly warranted and solidified by having a built-in, in-house developed and designed SB-Axx1 DSP and then backed up by the fantastic software support. We were very impressed with the bells and whistles but the iRoar’s bread and butter comes from sound and its ability to take any music you throw at it and fill a space. At $369, the iRoar isn’t a purchase to take lightly but the quality of the sound combined with the reliability of Creative’s clever engineering means you can rest easy knowing that the iRoar is the only Bluetooth speaker you’ll need for the next decade. Creative’s new iRoar is the loudest, best-sounding, most versatile compact one-piece speaker I have ever heard. 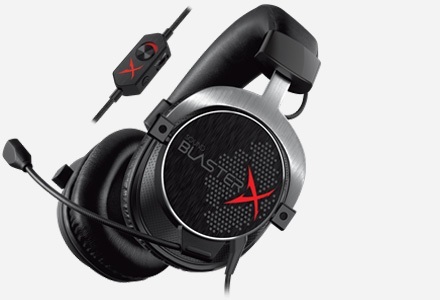 It improves upon its excellent Sound Blaster Roar and Roar Pro predecessors in every way possible. iRoar’s exceptional value makes its premium price worth every penny for listeners who demand the very best from a speaker that goes everywhere or performs perfectly in a fixed location. From Beethoven to Beastie Boys and Primus to Punch Brothers, everything sounds great. I’m sure you’re not surprised, considering the price tag. Even the bass is impressive for a speaker this compact. But now, what really sets the iRoar Bluetooth speaker apart is how great it sounds at extremely high volume. This thing can get loud! I figure at this point you know where I stand on the iRoar — it's a great little speaker, full of all sorts of neat features. It sounds good, fits into any decor, and is pretty much a little beast. The new features of the iRoar had me excited. 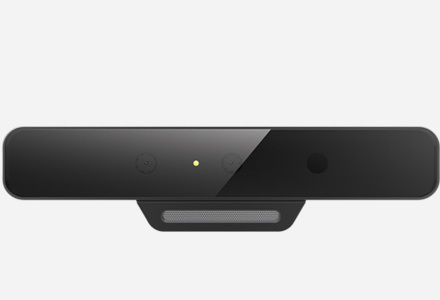 Creative increased the functionality by adding an optical port, to allow more devices that you could use the iRoar with. The SB-Axx1 processor provides better processing. And the iRoar dashboard app really helps you customize the sound. I also loved the updated controls on the top, that are easy to read. Especially the digital readout that shows the volume level and status, such as showing the bluetooth icon. Whoever designed the display and control panel nailed it! There is so much to love about the iRoar, and it is really hard to put it into words. Everything about this unit is phenomenal, and I enjoy every minute I spend listening to it. Whether it’s the 20 hours battery life when not attached to the dock, or the wide variety of connectivity options, the iRoar is packed with features that justify the price. The claim from Creative that it is one of the smartest speakers on the market is not even close to being wrong. I’ve never used a Bluetooth speaker with so many options before. That’s what makes this Bluetooth speaker different than the other brands is how you can customize, such as using DSP settings like Live Concert, Audiophile Bliss, Game On, Sonic Bass, Cinemania, or make your own personalized preferences. So not only does it sound good, but it’s a smart speaker on top of that. Enter iRoar and you've got a whole new breed of not only stunning audio in a small form factor, but the most feature-rich and intelligent Bluetooth speaker on the market. That's right, not only is it strikingly beautiful in black with gold accents, when it lights up and the array of features really start to open up, it's practically a nerdgasm. This is the best single one-piece compact speaker I've ever heard. It's beautiful, stylish blacK and has lots of advanced features. The iRoar is probably the best portable speaker the company has produced to date, and certainly one of the best we’ve tested overall. Its audio performance rivals that of speakers costing twice, the cleaner sound at louder volumes is easy to appreciate, and the litany of features that can enhance or expand on the iRoar’s functionality close the deal. You owe it to yourself to hear this speaker. It’s incredible. The audio performance of the Creative iRoar Bluetooth speaker did not disappoint and the depth of features is as impressive as we’re likely to see this year. While it is among the pricier models currently available, its combination of sound quality and functionality are hard to match. Simply put the iRoar is hands down the best sounding, most powerful, portable Bluetooth speaker I have heard to date. When it comes to the sound quality I have no critiques to make, the iRoar sounds full and crisp across the board, this is without question an audiophile-grade speaker. Those looking for a portable speaker that can deliver bass will be happy with what the iRoar has to offer. It can put out an impressive amount of sound and bass for its size, dwarfing most other portable Bluetooth speakers without a problem. Creative iRoar is a crazily-good portable Bluetooth speaker packed with tons of features and sounds amazing. Though you have to pay for the price, the audio quality is definitely not going to disappoint you and the best I’ve heard so far in a portable speaker format (disclaimer, I’ve definitely not tried all portable speakers out in the planet yet). The svelte desk-top speaker is not just loaded up with features, but it’s full of huge high fidelity sound.Thankfully, the app is really easy to use and it does a pretty good job of making everything as intuitive as possible. 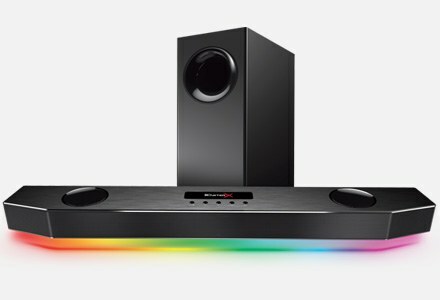 The built quality of the speaker is really top notch and the amount of control you have over the way your music sounds really adds a lot of value. Overall, the iRoar has just about everything you’d want in a BlueTooth Speaker including clean bass, powerful drivers, customizable hardware, a remote option for your phone, and much more. The huge selling point of the iRoar overall is its ability to be loud and while still producing incredible lows, mids, and highs all around you without distortion while having a huge range of connectivity options. The Creative iRoar is in a completely different class. Hands down the sound quality is so much better than any of my portable speakers that it gives my expensive home theater pieces some competition. Not only does the Creative iRoar sound better than any Bluetooth speaker I have heard it also heaps on functionality until I can’t be sure I have even tried everything out. "... The iRoar performs extremely well in my apartment and you will absolutely love that deep bass in BlasterX mode. The total output power of iRoar is 40 watts and this is really the most powerful portable speaker I’ve ever tested. You wouldn’t believe such a powerful and spacious sound could come from such a small box." "...The best characteristic of this speaker is its ability to be personalized with a platform that allows for value-added third-party add-ons. With a huge 20-hour battery life, Creative iRoar is one of the best portable Bluetooth speakers on the market." Creative just won’t leave it alone. First they came out with the Sound Blaster Roar speaker which put almost all other Bluetooth speakers to shame. Then came the Sound Blaster Roar 2 which was 20% smaller, yet improved on the original Roar in almost every way. 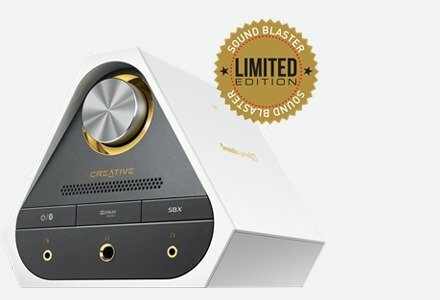 Now, they’ve dropped the Sound Blaster name entirely and released the iRoar. The iRoar is upscale in many ways over both the Roar and Roar 2… way upscale. This is the first Roar speaker from Creative that has the SB-Axx1 voice and audio effects processor built in, and the first Roar speaker to have app support for iOS, Android, PC and Mac, so you could easily say the iRoar is Creative’s most intelligent portable speaker yet. There’s just a lot to like about the iRoar. The build looks nice enough if you keep it clean and wouldn’t look out of place on a home entertainment system and you can connect basically anything you want to it. The app is also intuitive and gives you complete control over a bunch of cool features, but it’s the sound that did it for me. This speaker sounds amazing and puts everything I’ve heard in the past few months to shame. There aren’t many sub $400 Bluetooth speaker that sound this good, are this versatile, or have this kind of power. Throw in the expandability and the iRoar goes beyond being simply a Bluetooth speaker and becomes something bigger. Exactly how big will largely depend on third party hardware manufacturers and developers, but I like the way this is going. The certainty here is that the iRoar and Rock create an awesome audio experience that is laced with contemporary high-tech innovations. We love it and can’t wait to see what’s next. Essentially the iRoar is the pinnacle model of all the Roar features packed into one device...This speaker is exceptional and has so many useful features that you might consider when purchasing a new portable speaker. The iRoar Rock subwoofer makes sense if the iRoar speaker is treated more like a stationary speaker rather than carried room to room. The bass improvement is good enough that the iRoar alone might start to sound a bit anemic, even though that is not the case at all. That’s how addictive the iRoar Rock becomes. The Rock improves the iRoar and addresses its minor weaknesses, without sacrificing a drop of its up-for-anything versatility. It is a “must have” for any iRoar owner, especially those who frequently use their iRoar at home. The iRoar Rock solidifies the iRoar’s role as a home theater speaker (a role which is precarious without the Rock). Actually, having more than one Rock wouldn’t be outlandish. A Rock for the home theater and a Rock in the master bedroom would be one step closer to audiophile heaven. The bass quality is superb, and the added depth is a notable improvement over the base iRoar speaker. When testing the complete iRoar bundle in our open office space, music via the iRoar sounded infinitely richer when connected to the Rock. For any iRoar owner who regularly parks and uses the iRoar in the same place, the iRoar Rock is an easy recommendation. It has a strong amount of "wow, neat" presence, which is backed by impressive performance and near idiot-proof usability. It's the kind of accessory that lets incredible, portable sound take command over an entire room. Creative iRoar Bundle 6.8 out of 0 based on 2 ratings. based on 39 reviews. etwas teuer für 260 € aber es steckt viel Power in der Kiste , auch die Bedienung ist gut durchdacht, gar zu Schweigen von der tollen Optik. 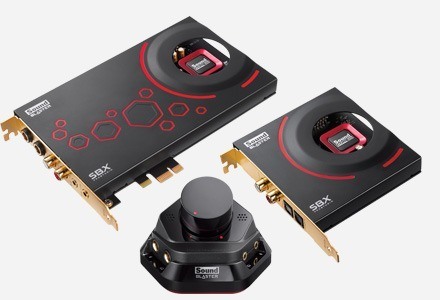 Haber vorher den Sound Blaster Roar 2 und war schon begeistert davon, aber der iRoar Übertrift es. Boostet die Bässe richtig fett. Sehr zufrieden. Powerful sound in a tiny box. The sound is clear even at high level. Bluetooth connection is good. I won't give 5 stars because it doesn't have a WIFI/LAN connection. Simply the best BT speakerset of its type (if indeed there are others like this) It's my second iRoar and the Megastereo cable provides amazing stereo separation. I won't go into all the features - they're well described on the Creative site - other than to say they perform to perfection. I have been in and out of reviews for a bluetooth speaker. With the current offer where you purchase an iroar together with the irock at a special price. First time playing Hotel California live under the live concert, made it feel like I was there. I have no regrets getting them. Am,amazingly good sound. Fills the room nicely. It's awesome. The sound is great and the features are nice and easy to use. Gorgeous speaker that sounds incredible. I purchased this second one because it’s so good and needed to hear what they could do together with the Megastereo cable. Nothing short of amazing. Very impressed so far, it's remarkably loud for such a small device and doesn't distort when you do crank the volume. Sound quality is excellent and battery life is good when the device is used unplugged. Provides a significant improvement on TV speakers. The device is expensive, but I don't regret spending the money. Have connected the speaker to my PS3 and computer as well as using it to play music over Bluetooth from my phone. Highly recommended. Terrific Sound quality. Even better when using a pair. Build quality very high. Brilliant device. Amazing sound from a small package. 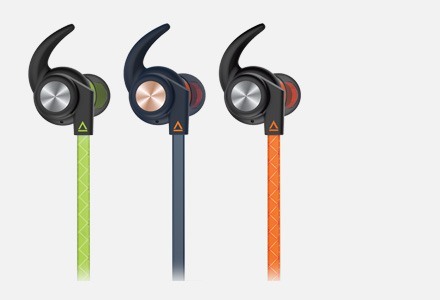 Punches above its weight and size in terms of sound quality and volume. Brilliant product. I am loving it. Sound quality is very good. Works as expected and delivers a great sound! Some nice features also I did not find elsewhere: change your voice live, "meeting mic", installable small apps. Great investment! Great bass and great aesthetic design that matches the modern furniture. Great addition to the iRoar. A solid and pretty “accessory” that is an absolute MUST for the iRoar. The speaker alone is phenomenal, but this effectively doubles your pleasure with the ease of charging and connecting and improved lower end response. Incredible value.